When consumers visit their local grocery stores, many are faced with an overwhelming barrage of product options and complicated nutrition labels. 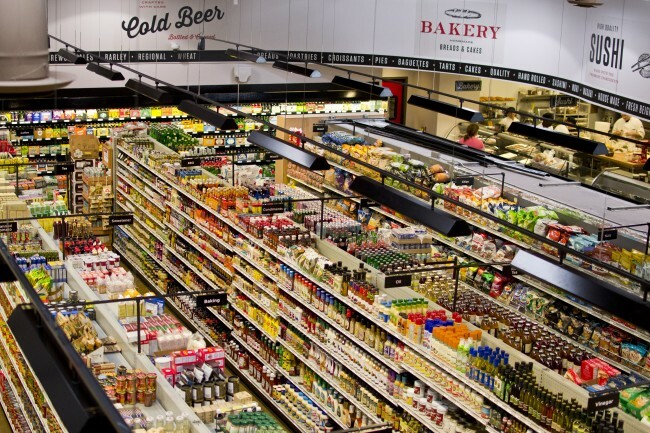 Rows and rows of cereal, a dozen brands of olive oil, cases filled with milk and meat, and shelf after shelf lined with canned soup, chips, and soda can be found just by walking through the front door. At a 2012 TED Talks conference, psycho-economist Sheena Iyengar shared that the typical grocery store offers consumers nearly 45,000 product options. The average Walmart? About 100,000 products. The sheer number of options at consumers’ fingertips today makes comparison shopping nearly impossible, especially when the nutrition labels used by many consumers to make product decisions simply fail to measure up. The Federal Drug Administration assures consumers that a much needed change is on the way. After nearly 20 years, the FDA recently announced that they will be working to give nutrition labels a long overdue facelift, acknowledging that much of what is currently found on nutrition labels is simply no longer effective for consumers attempting to make healthy dietary choices. Nutrition labels have not been updated since they were first introduced in 1993 and, while label requirements have prompted many companies to hold their products to a higher nutritional standard, what experts have learned about health and nutrition over the past 21 years makes existing nutrition labels look downright antiquated. Take fat, for example. Fat used to be considered one of America’s biggest frenemies. Doctors warned against fat-heavy diets, and dieters avoided fat-laden foods like the plague (except, perhaps, during off-the-wagon, late night binge fests). Although consumers now know better, current nutrition labels continue to highlight fat content while neglecting more applicable nutrition information, such as natural versus artificial sugar content. According to the proposal sent by the FDA to the White House for review, “Diet is a significant factor in the reduction in risk of chronic diseases such as coronary heart disease, certain types of cancer, stroke, diabetes, and obesity.” In a time when consumers cannot trust that products are good for them just because they appear on a grocery store shelf, many rely heavily on the information provided by the nutrition label. The proposed label changes would work to provide consumers with accurate nutrition information, enabling them to make more informed health choices. ABC News discussed recent data showing that consumers are now more likely to read nutrition labels before purchasing products than ever before. A Health and Diet Survey conducted in 2008 showed that about 54 percent of consumers reported using nutrition labels to make informed product purchase choices, up from 44 percent in 2002, according to the FDA. With over half of consumers now relying on product labels to make healthy diet decisions, it is more important than ever to ensure that the nutrition label actually measures up to the nutritional value of the product itself. Although it is not yet clear what information the new nutrition labels will include, USA Today reports that many nutrition experts are hoping for increased transparency around artificial ingredients, preservatives, dyes, genetically modified ingredients, and syrups. 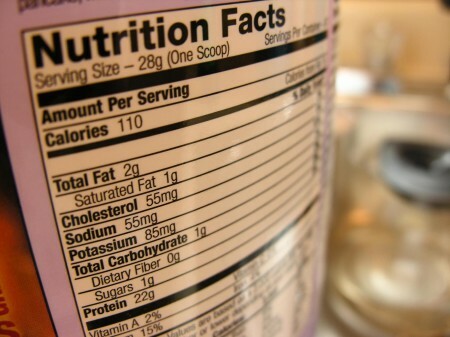 Many are also pushing for front-facing labels and serving sizes that actually make sense. Regardless of the ultimate outcome, many find it reassuring that the FDA is taking measures to acknowledge how important diet and nutrition education is in keeping consumers healthy and safe. The push to promote nutrition labels that measure up to consumers’ needs is an encouraging step toward helping shoppers decide which products are actually nutritious and which are better left on shelf.